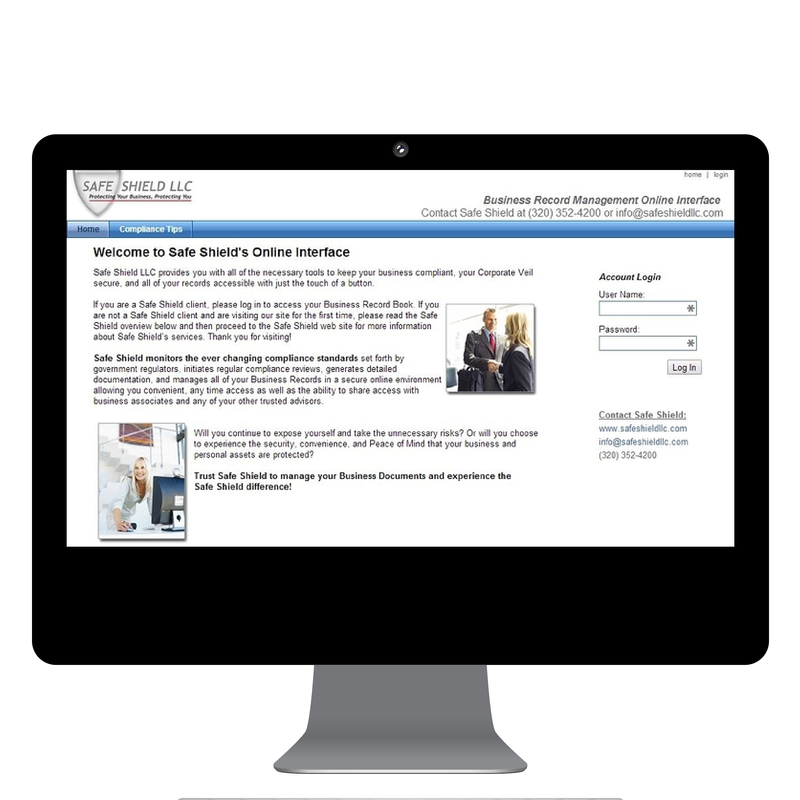 Business owners no longer need to deal with the hassle of updating a stack of physical business records. Safe Shield manages all of your business records in a secure online environment allowing you convenient, any time access as well as the ability to share access with business associates and any of your other trusted advisors. If you own multiple businesses, Safe Shield's online corporate record book also gives you access to all of the businesses you own in one convenient location. Trust Safe Shield to manage your business documents and experience the Safe Shield difference!